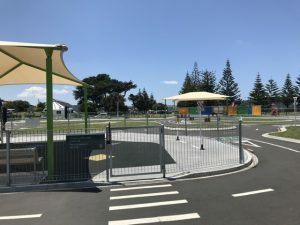 This playground and mini road is set within a large park area just off the Oneroa Cycle and Walkway. The equipment is set out in individual areas which would be tricky with young children who wanted to be at different sections but great for self-managing children as an adult could set up on the grass and have a good view over the whole area. 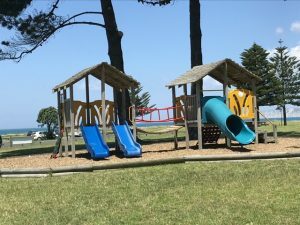 Equipment includes, swing in circle of swings, regular swings including a pre schooler swing, a seesaw and several different styles of roundabout and a rocktopus. Larger sets of equipment include a pre school area of mini slides, wobbly bridge and various ladders, a good sized obstacle course including a ladder monkey bar, chain rope ladders and flying fox. A second obstacle course has high rock climbing posts, metal chain bridge, a spinning four-ring monkey bar and a hand cycle bar. There are picnic tables dotted around but otherwise little seating so you might want to bring a picnic blanket or chairs to put on the grass. There are some big trees providing shade over certain areas. It’s worth noting there’s an unfenced lake in the northwest corner of the park, so small kids that are likely to go wondering off will need to be monitored carefully. Otherwise, you might like to bring some food to give to the ducks that hangout on the water. In the south east corner of the park, there’s a mini road system for bikes and scooters. There’s a gated inner area for pre schoolers under 4 years which has a shade sail over it. There are roundabouts, street signs and traffic lights. There is seating around and a couple of picnic tables under a shade sail. 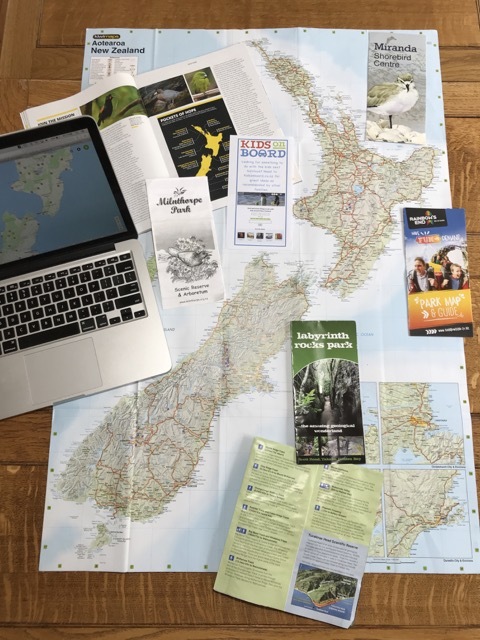 Address: this park area is between Centennial Marine Drive, Awapuni Road and Stanley Road with the mini road system on the corner of Stanley Road and Centennial Marine Drive. The playground equipment is West of this closest to Centennial Marine Drive. There is parking on Centennial Marine Drive.